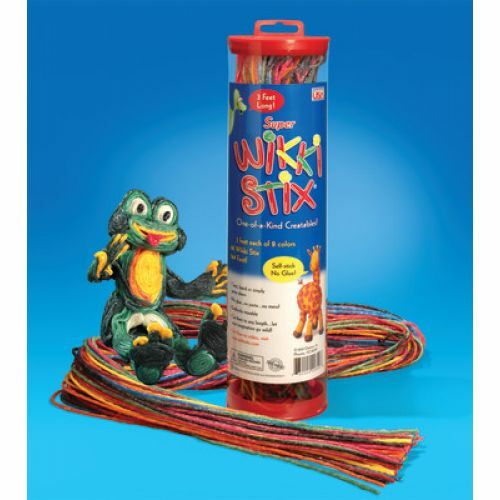 Super Wikki Stix are the Perfect Craft Toy, Educational Toy and Teaching Tool! 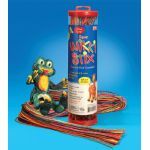 Amazing three-foot lengths of Wikki Stix One-of-a-Kind Creatables. The perfect opportunity for super-creativity. Cut to your own desired length. A perfect teaching tool for the classroom, projects, rainy day fun, festive seasonal decor. 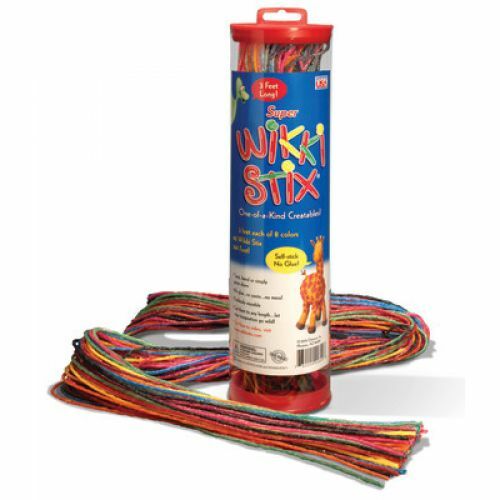 Wikki Stix adhere to almost all smooth surfaces with just fingertip pressure press them down, peel them up again to make changes. Perfect for 3-dimensional creations too.